(By Dr. Bipan C Rathore) Pangi Valley (1503 km²), a subdivision of Chamba district and one of the beautiful valley is situated in the north of the Chamba district, is the interior most tribal area in Himachal Pradesh. Valley lies between the latitudes of 30° 48’N to 33°13’N and longitudes of 76°15’E to 76°47’ E. The river Chandrabhaga flows through deep narrow gorges in the Pangi Valley. It originates from Baralacha glacier in Lahaul-Spiti and enters in Pangi Valley near Karu Nala. 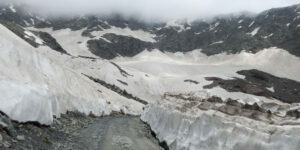 The Valley has recently been connected by road via Sach Pass at a height of 4,420m, and is also the shortest route from Chamba to Killar (170 km) and is open for vehicular traffic from mid-June to September, but it remained closed due to heavy snowfall at other times of the year. 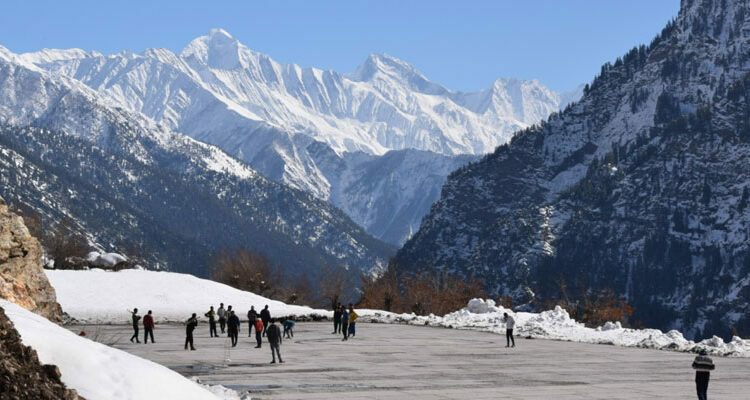 One can also approach the Valley via Chamba-Manali-Killar (680 km) and Chamba-Jammu-Doda-Gulabgarh-Killar (570 km), but these are very long routes compared to the Chamba-Sach Pass-Killar route. The old trade routes still exist which connect Pangi Valley to Ladakh of Zanskar range in the adjoining state of Jammu and Kashmir. Practically all the people live in small and fairly isolated villages. The languages spoken by the people are Pangwali and Bhoti. Both Hinduism and Buddhism are practiced in the valley. The tribal people of Pangi are called the “Pangwal.” The high altitudinal villages of Pangi Valley are called Bhatories and their residents are referred to as “Bhots.” These people are mostly Buddhists and have Tibet-Mongolian features. 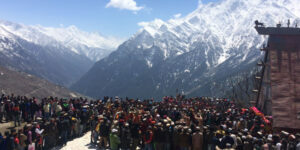 Local songs, dance (Nati by gents and Ghurei by ladies), and locally brewed liquor “paatar,” play a significant role on the lifestyle of the people of Pangi Valley. One of the major festivals celebrated in the mid of February is “Jukaru,” praying to local god or deities with words of celebration and thanks for helping the people to survive the harsh winter. Nature has blessed the Pangi valley with its serene beauty. The valley is subdivided into many sub-valleys and is worthwhile to visit by everyone. Sural valley is 25 km from Killar is a very beautiful valley located at the elevation of 10,000 feet above mean sea level and Sural Bhatori is the last village of the valley. One km from Sural Bhatori is a beautiful waterfall and a trek also leads towards Zanskar. 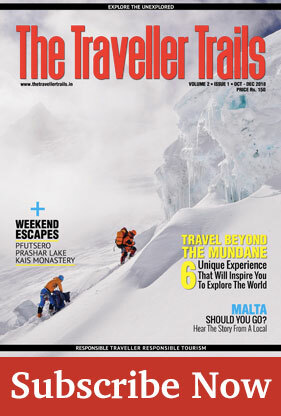 The valley is known as a trekker’s paradise. There is one traditional route from sural to Hudan valley via Tingloti pass. 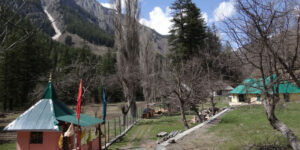 The gompa of Sural Bhatori is surrounded by Betula (Bhojpatra) patch and the valley is dominated by a dense patch of bhojpatra forest on one side. The valley is also famous for beautiful flora. Hudan Valley is located at a distance of 13 km upstream Mahlu nalla consist of many villages. There is a small lake and camping site near Bhatori. There is also a gompa in Hudan Bhatori and shiv temple in Shiv Dhar three km from Bhatori. The valley is known for mild trekking and is known for the variety of rare medicinal plants. Parmar Valley consist of three village Parmar, Kumar and Parmar Bhatori and this sub valley is known for its lush green alpine pastures. There are traditional trekking routes from Karyuni and Gowari. Hillu Twan valley nine km from Sechu village is having two main villages Hillu and Twan are inhabited by Bhots, is an open, picturesque valley dominated by pine trees. It is famous for the variety of wild animals and unique high altitude flora. Chasak Valley is mainly composed of three villages Chasak, Murch and Chasak Bhatori. Few family lives in Chasak Bhatori and famous for flora and fauna like Himalayan Tahr, Himalaya Ibex, and Himalayan brown bears. The valley is famous for rare medicinal herbs like Dhoop, Kaur, Pateesh etc. There is a famous Sechu- Tuan Nala wildlife sanctuary which is known for wildlife watching during winter. 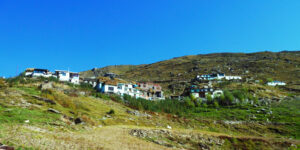 Purthi and Ajog Purthi is located at the distance of 25 km from Killar and both areas are situated at the elevation of 7500 feet above mean sea level. The rest house of Purthi is located along River Chanderbhaga and is a beautiful place amidst thick forest patch. Chanderbhaga River is also a beautiful place. Old trekking route also leads from Agoj to Kulal village. Famous temples of the Valley the temple of Chamunda Devi is situated at Mindhal village and every year in the month of September a big fair takes place which is attended by hundreds ofKK local people. Similarly, Malasani Mata Temple at Purthi and Karyuni, Sheetla Devi at Luj village and Tatan Mata are famous temples of the valley. 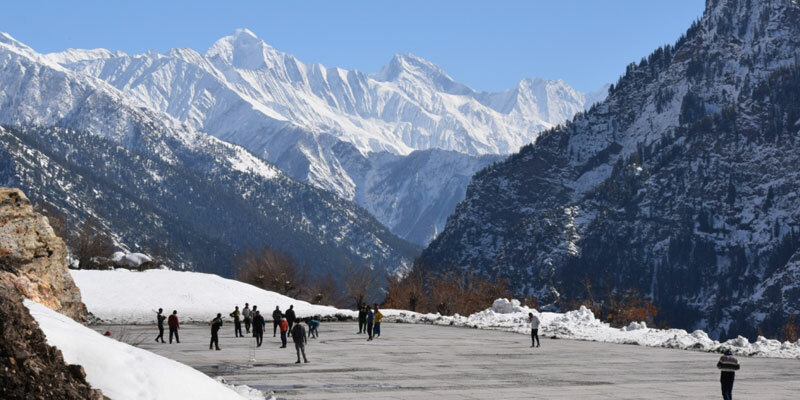 The valley is known for many famous high altitudes passes Sach Pass (4420 m) between Satrundi and Bhagatu, and Cheni pass (4380 m) connects Kulal and Mindhal villages with Dehgram and Devikothi. Chasak Bhatori to Garh/Miyar valley via Gurdhar pass, Sural Bbhatori to Dharlang area, Sural to Hudan, Killar over Tingloti pass etc.